So, you've got a highly-detailed image that would look great on a t-shirt. What decoration technique should you choose? The most common answer is screen printing which offers the quality you desire with cost in mind. But what if you only have a need for 12 pieces or less, and do not want to carry left-over stock? Well, look no further because the following process is not only a cost-efficient choice for small orders, but can offer a higher definition, and in some cases, a photographic reproduction of your image. I present to you, Hi-Def Digital Printing. 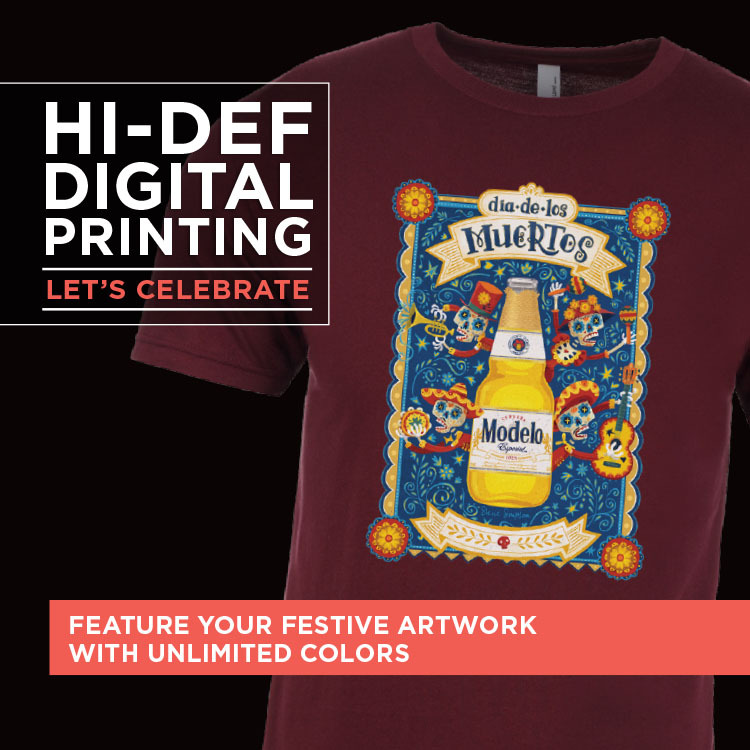 What is Hi-Def Digital Printing? 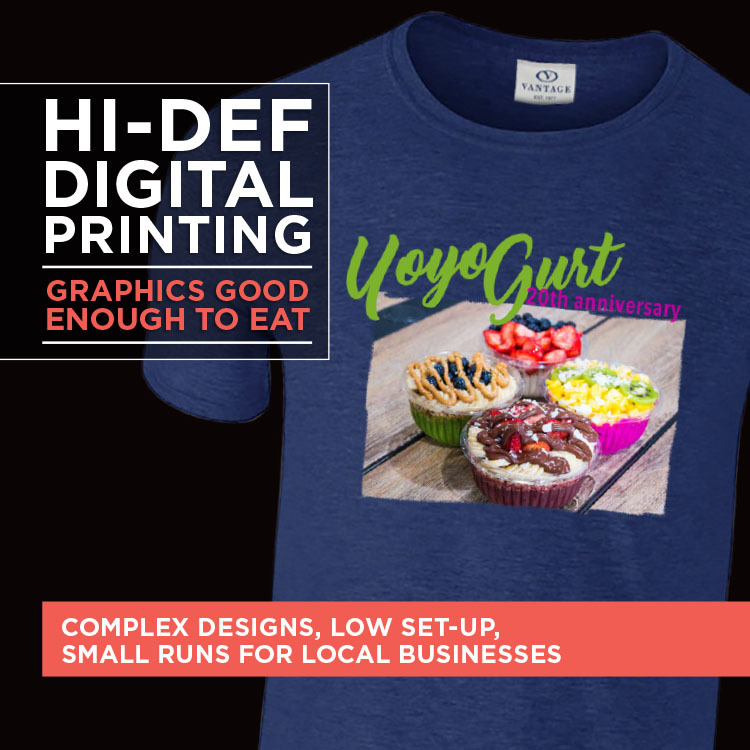 Vantage Hi-Def Digital Printing, or Direct to Garment (DTG), is the process of transferring a design onto fabric using a large-format inkjet printer. It's a relatively new technology that has opened new possibilities for textile design. The process begins with converting the design to a digital format called a PNG file. 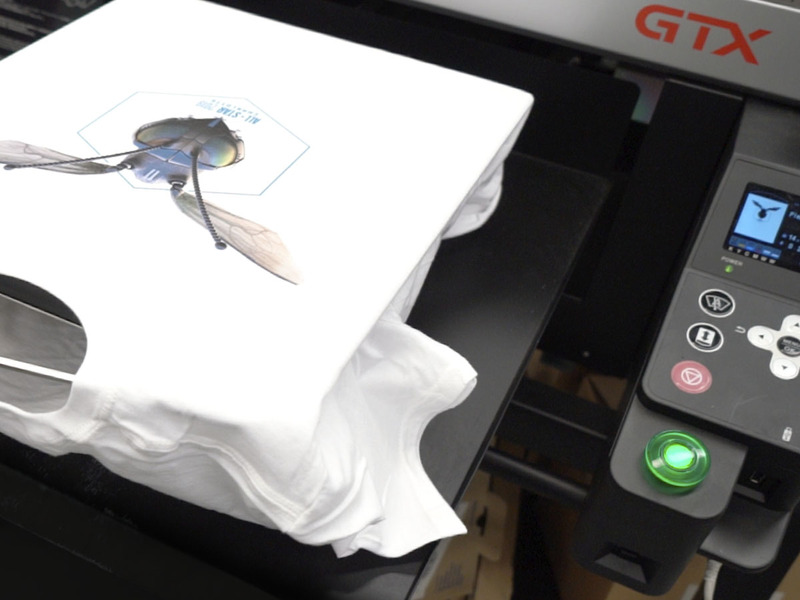 The t-shirt is then loaded onto the machine much like loading paper into a standard printer. Finally, the printer jets the ink directly onto the shirt in the desired design. Digital printing uses CMYK, water-based, eco-friendly inks that are specifically designed to adhere to fabric when heat cured. Digital printing is best used for graphics that require high amounts of detail, or short run orders. Because digital printing does not involve the use of screens to print a design, there is less time and physical labor involved in setting up the logo for production which makes it an affordable solution for small runs. The ability to process artwork with resolution as high as 1200 dpi., also introduces the opportunity for highly-detailed, and photorealistic logos. Curious to learn more about this decoration technique? Read on as we dive into more facts about the process, garments that best showcase this decoration, what to expect, and how to get your next project started. 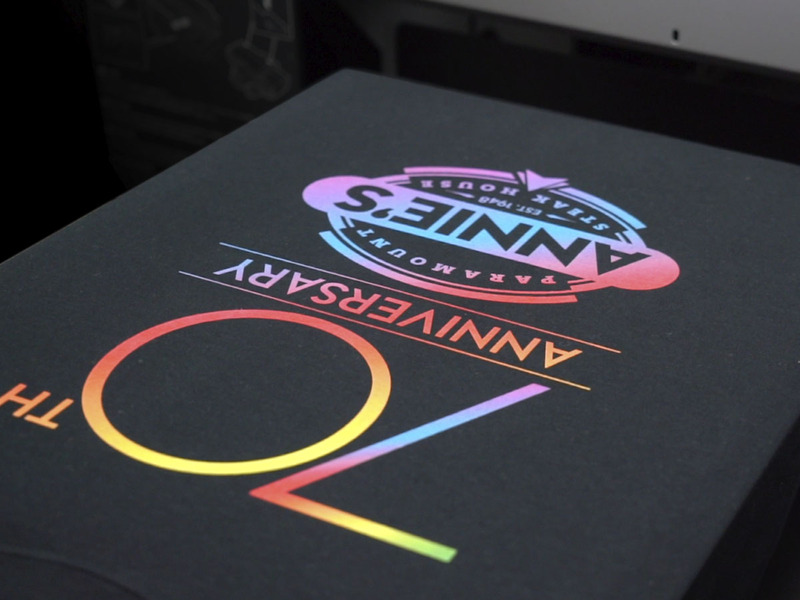 When does Digital Printing make sense over traditional Screen Printing? If you are interested in reducing inventory risks and program costs, you may consider fulfillment options for one-offs and small runs. Orders can be uploaded to our system and drop-shipped directly to you or your customer within 72 hours or less. Digital printing is a cost-effective method for printing logos with high-color counts on small order runs. We use 72 pieces as the max order size for digital printing, but it is not a hard rule. Actual artwork will determine the most efficient and cost-effective printing technique. 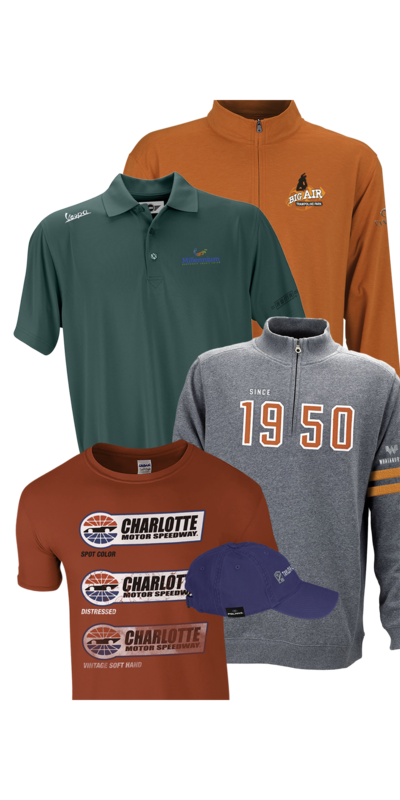 If you want the wearer of your finished logo to feel as if the image could jump right off the garment (figuratively speaking), then this is the option for you. Logos that use flat designs lack the visual cues of depth while photorealism requires details like shadows, reflected light and even complex textures. Which items are best for Digital Printing? 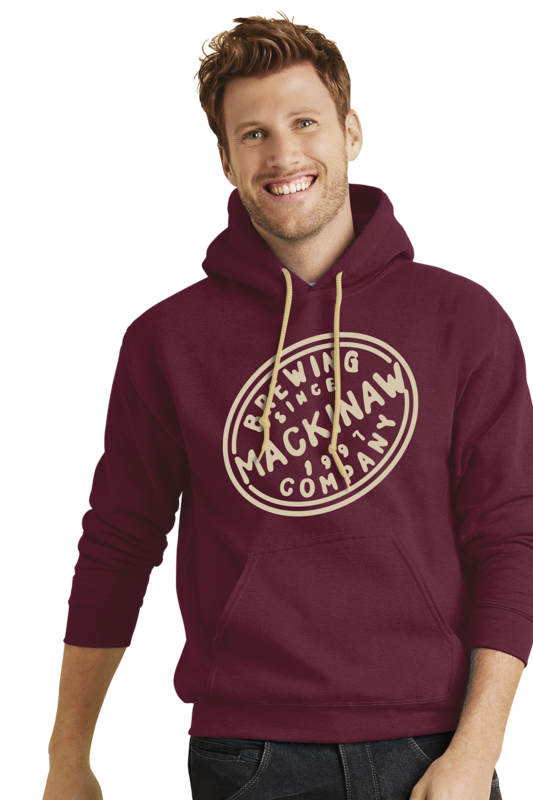 Garments with high cotton content and a smooth, tight knit yarn yield the best-quality print. Vantage uses their men's and women's Hi-Def T-shirts, styles 0290 and 0291, and the Next Level 3600 cotton crew neck tees. Other types of t-shirts could render a blurry print. Can this process only be used on certain colors? We can print on any color t-shirt, but the process is slightly different. Dark garments or garments with coloring require a pre-treatment to ensure the ink will adhere, white garments do not require this. The pretreatment is visibly noticeable and may have a faint odor; however, it is eco-friendly and will dissipate after the first washing cycle. All DTG garments printed by Vantage ship with a sticker advising the recipient to wash the shirt before wearing to remove the pretreatment. Will my logo look exactly like I intended? Newer technology in digital printing produces logos with vibrant colors and unprecedented quality. Unlike Screen Printing, PMS matching is not available. Instead, a CMYK printing process is used. Colors will be close to, but not identical to the PMS color requested. For orders over 12 units, a pre-production sample must be approved before we'll begin production. You can choose to approve the sample from a photo or arrange to have the actual piece sent out to you. How is Digital Printing priced? 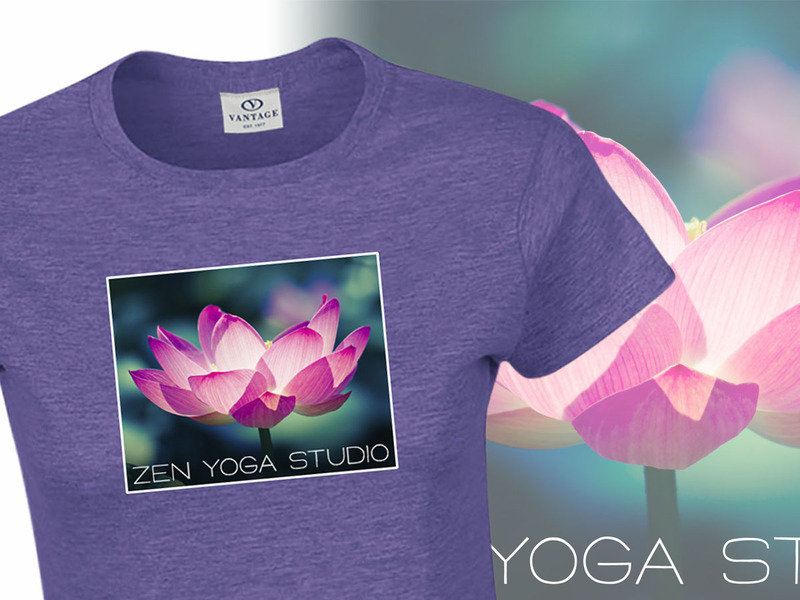 Digital print pricing is based on the print size (small or large) and the t-shirt color. Click here to see a breakdown of our current pricing for the process. What type of art do you need? The best results come from high resolution, 300-1200dpi, PNG files with a transparent background. If high-resolution art without a transparent background is not provided, then our Art Department can convert it; however, this may take additional time. Have a project in mind that would benefit from Hi-Def Digital Printing decoration? Click here to contact a local rep in your area. Aja Norman is the Marketing and Events Coordinator for Vantage Apparel. When she isn't working on campaigns and events, she enjoys reading Stephen King novels and taking epic rides on her longboard.